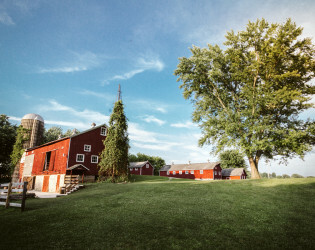 Set on 100 acres, The Barn at Wagon Wheel Farm traces its history back to the 1840’s when it operated as a dairy farm. 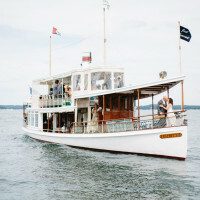 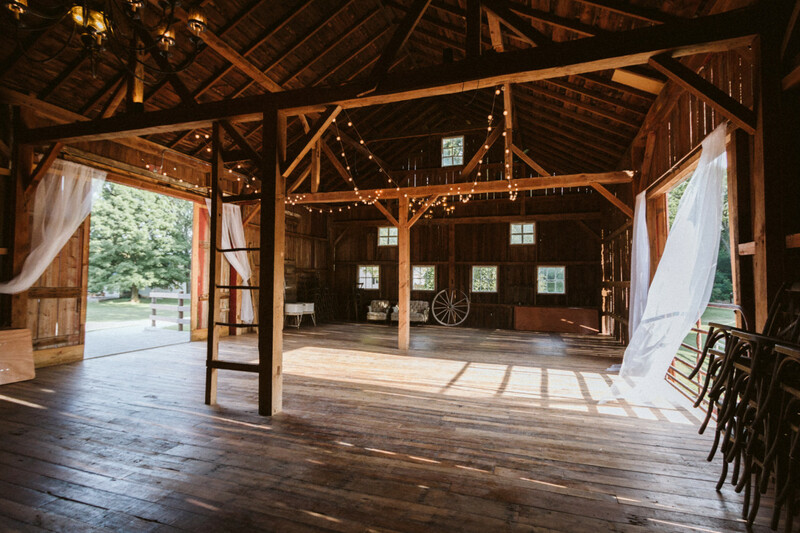 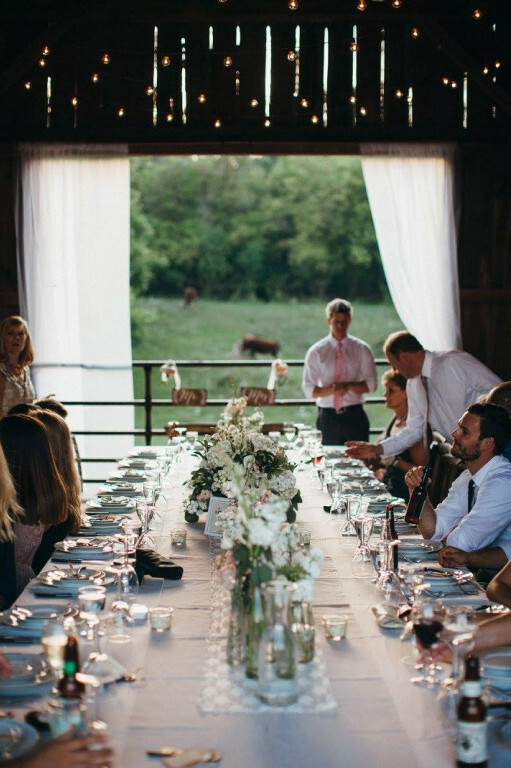 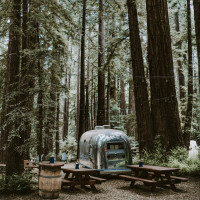 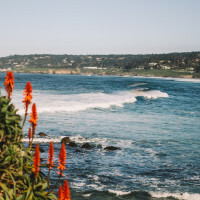 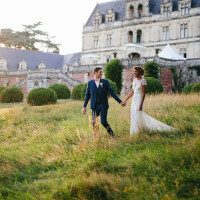 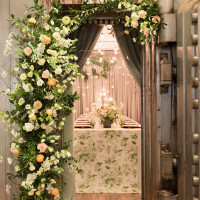 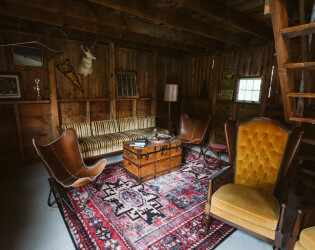 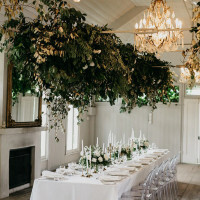 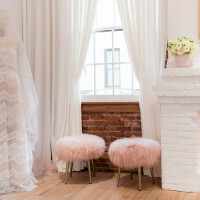 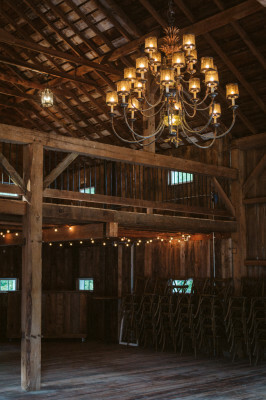 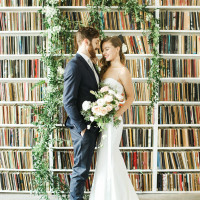 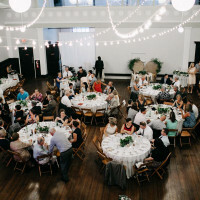 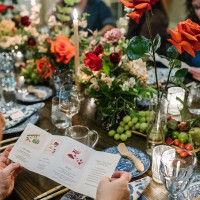 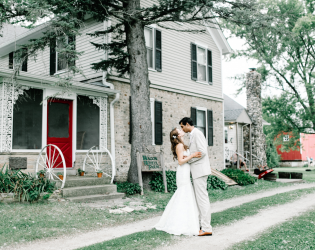 Located just 75 miles from Chicago, 40 miles southwest of Milwaukee and 8 miles east of Lake Geneva, rustic charm blends with modern elegance to create the perfect day for your most important day. 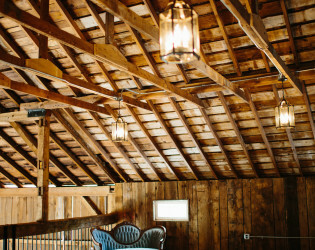 Set on 100 acres, The Barn at Wagon Wheel Farm traces its history back to the 1840’s when it operated as a dairy farm. 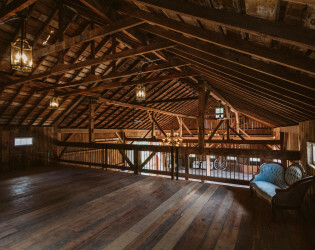 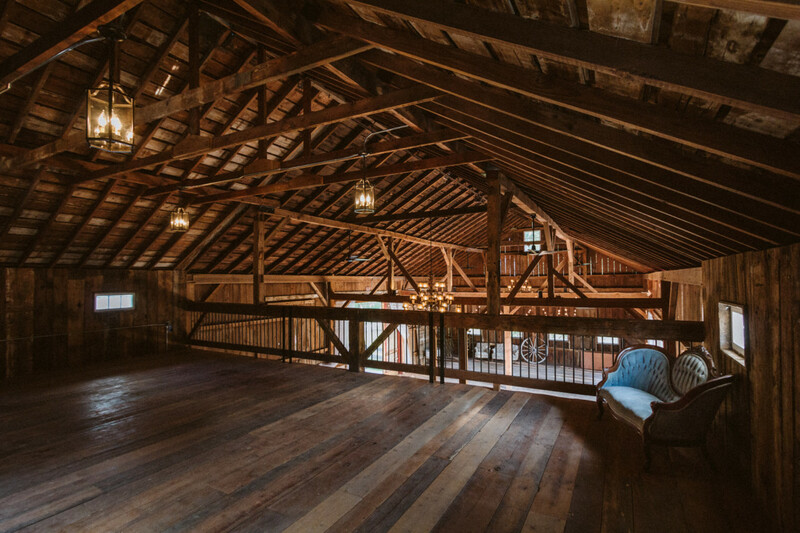 The original bank barn has since been restored, including three levels for guests to enjoy, and every other amenity you could dream of. 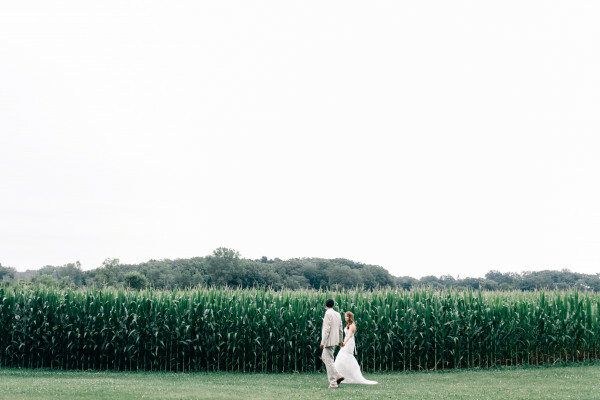 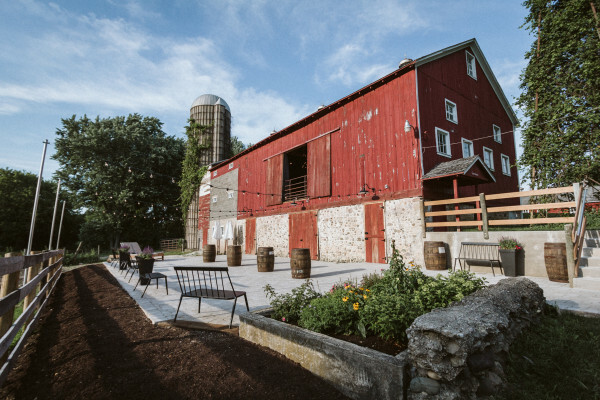 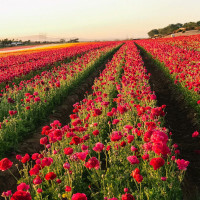 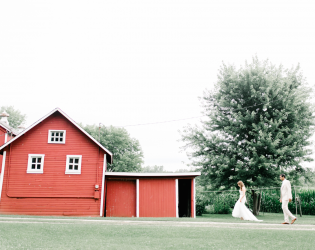 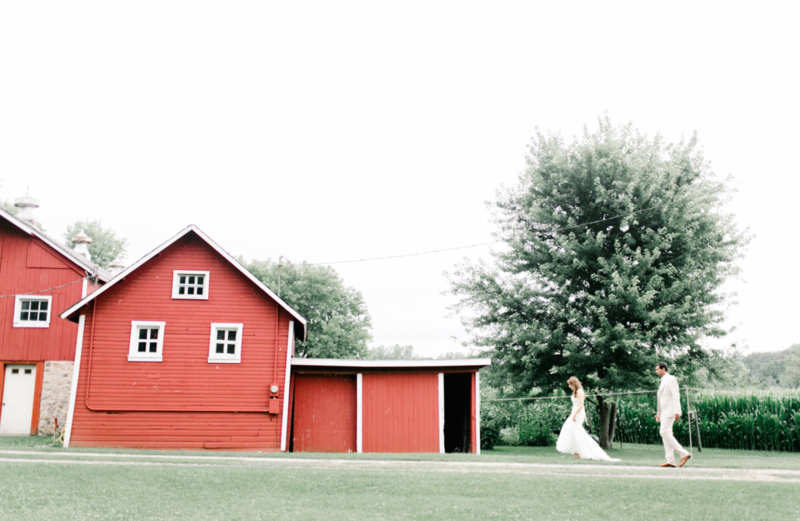 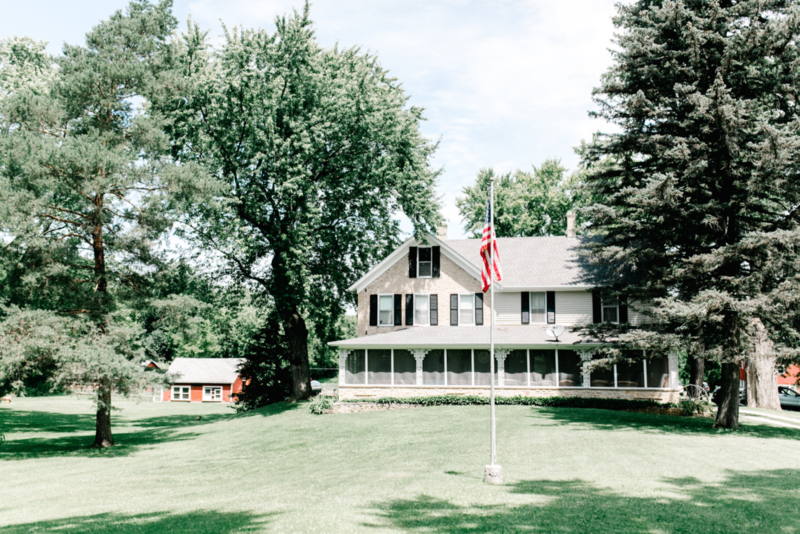 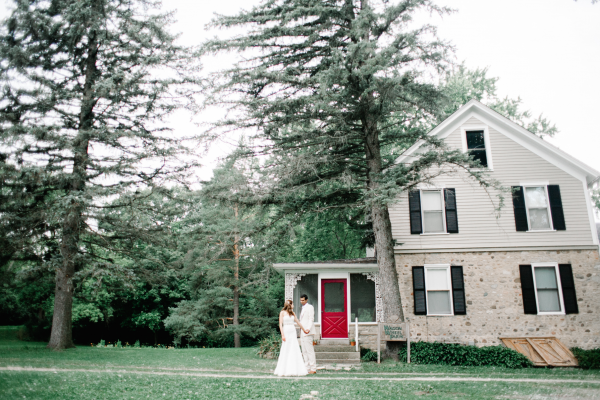 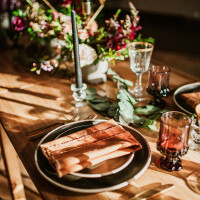 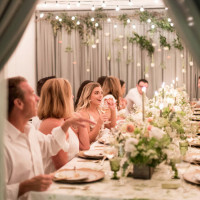 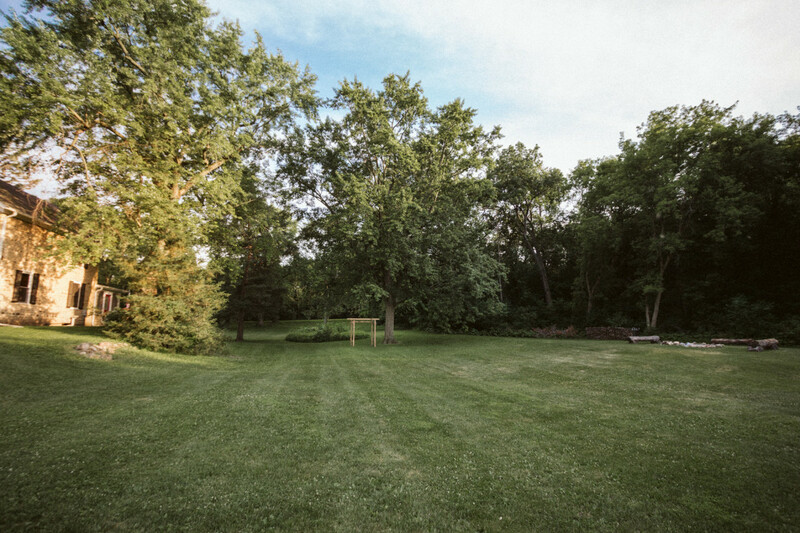 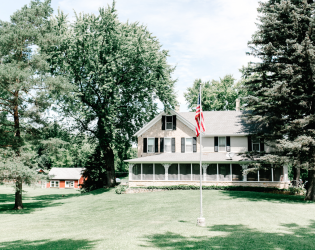 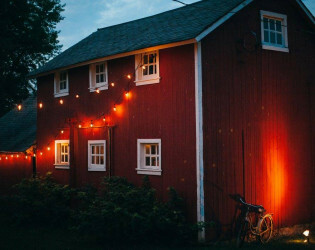 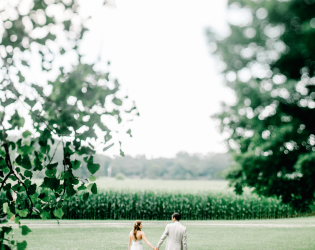 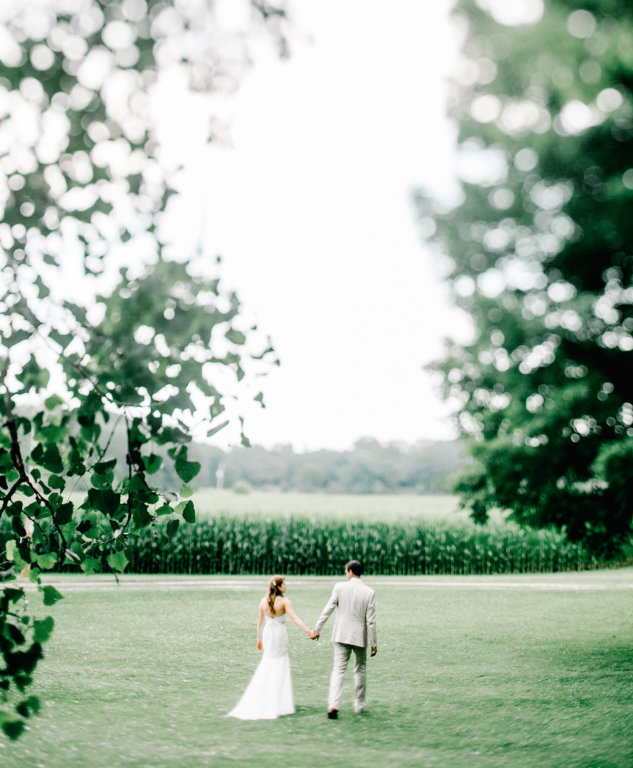 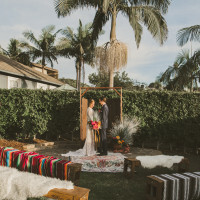 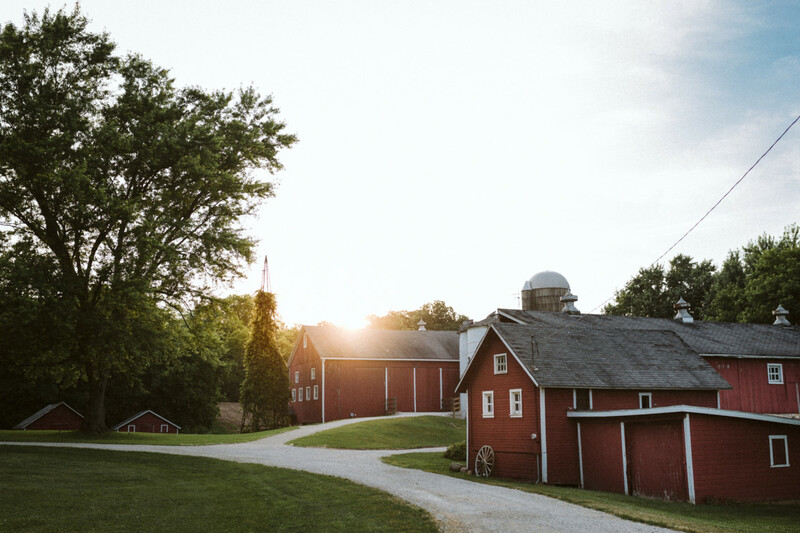 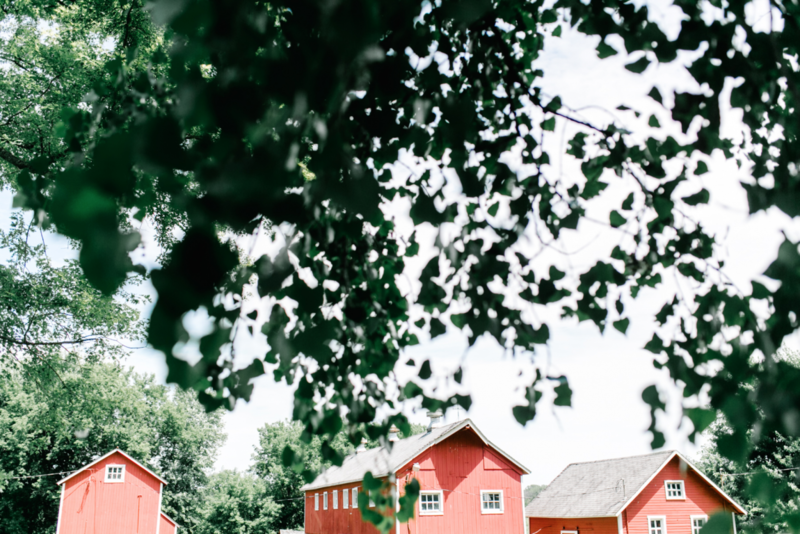 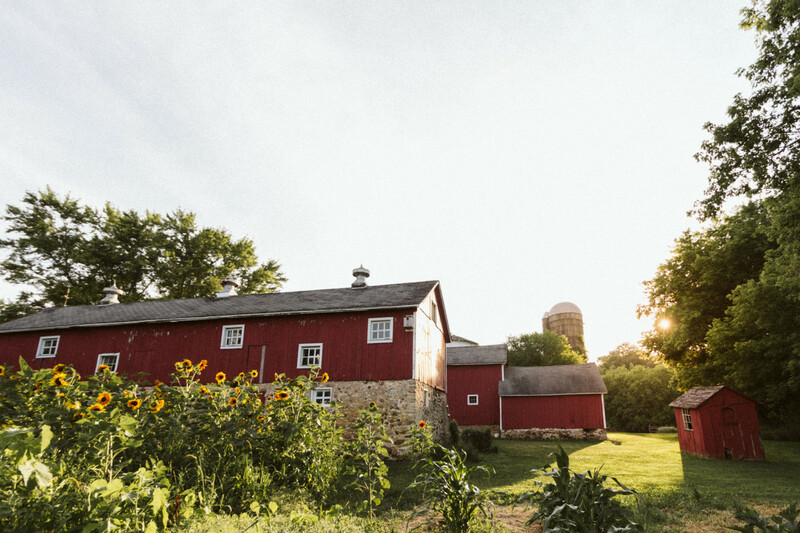 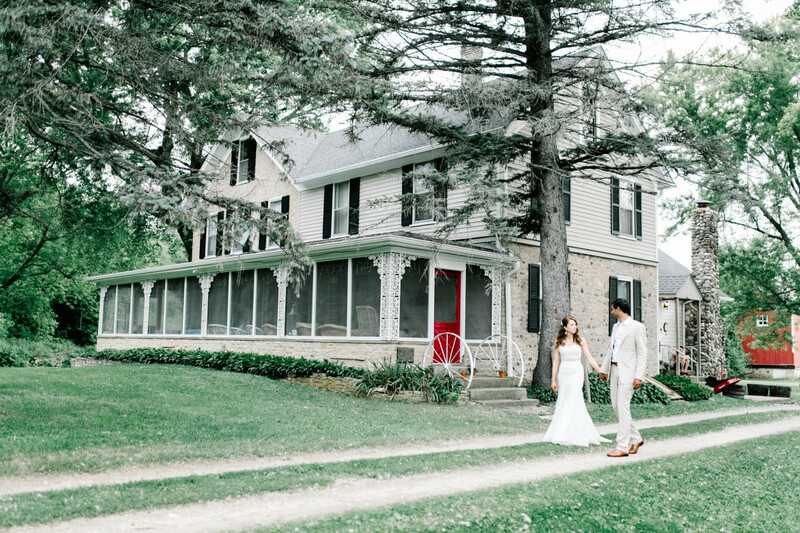 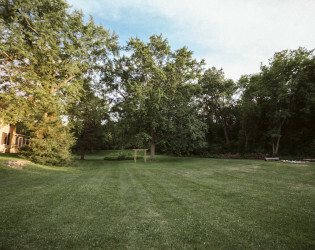 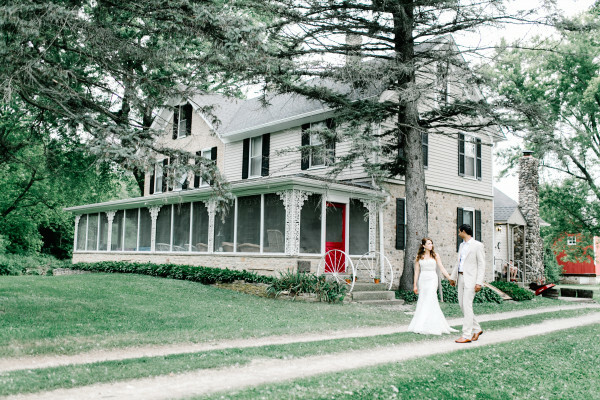 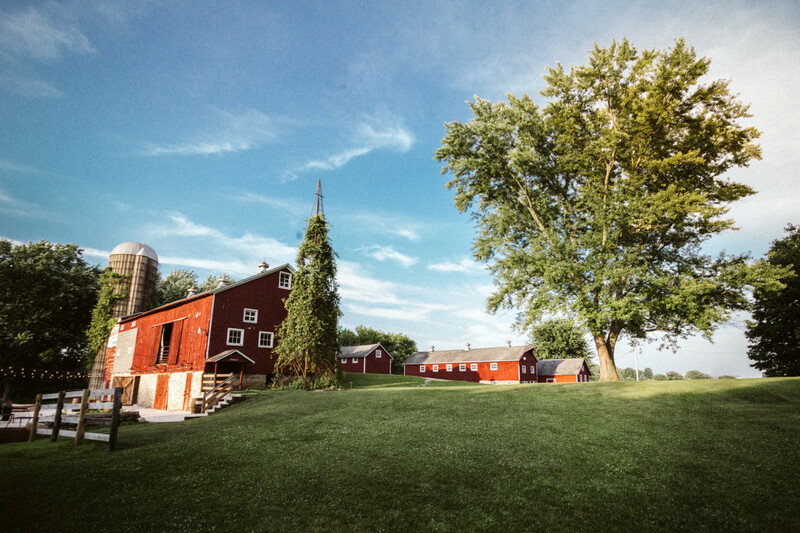 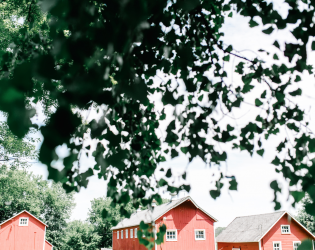 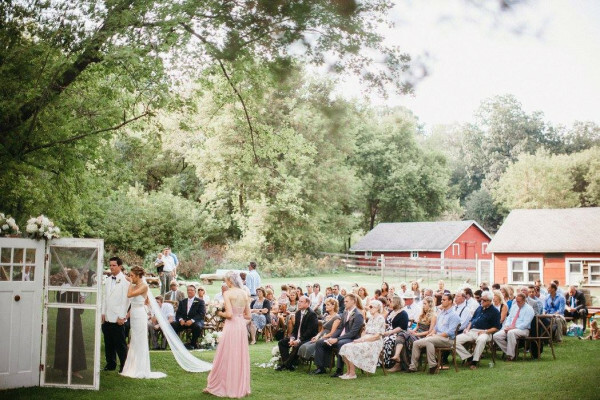 Enjoy the farmhouse for all your pre-wedding preparations and multiple ceremony sites set among rolling cornfields and century-old oak trees. 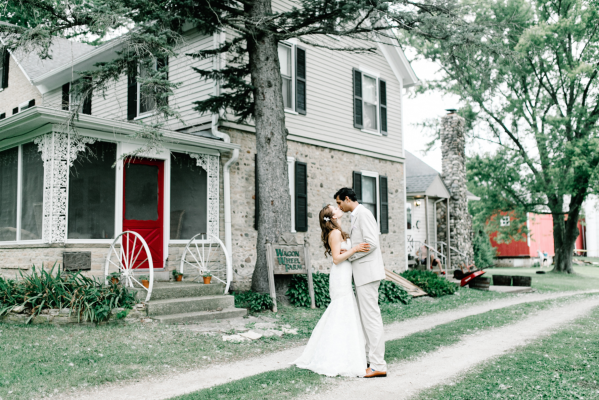 Located just 75 miles from Chicago, 40 miles southwest of Milwaukee and 8 miles east of Lake Geneva, rustic charm blends with modern elegance to create the perfect day for your most important day. 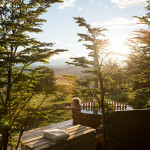 5 bedroom farmhouse available for pre-event preparations, other options available upon request. 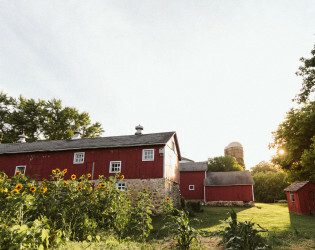 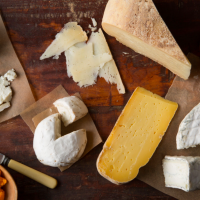 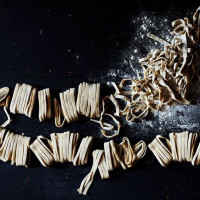 Wagon Wheel Farm traces its history back to the earliest days of Walworth County in the 1840s. 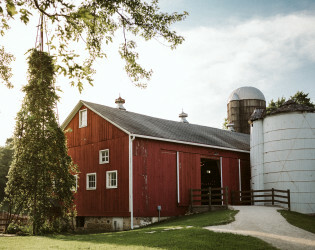 Originally, a dairy farm, it was purchased by Dr. A.J. Sullivan in the 1950s. 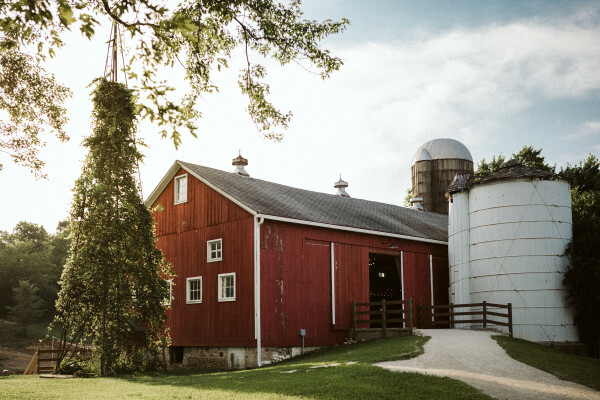 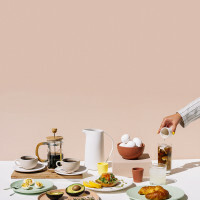 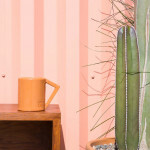 He discontinued the dairy operation and maintained an office in his home. 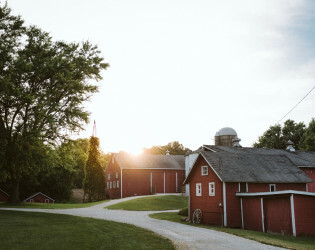 In 1971, Chicagoan Len Matthews was looking for a farm so that his kids could experience the adventures and learn the values he found as a boy on his grandfather’s Kentucky farm. 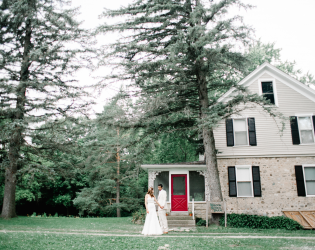 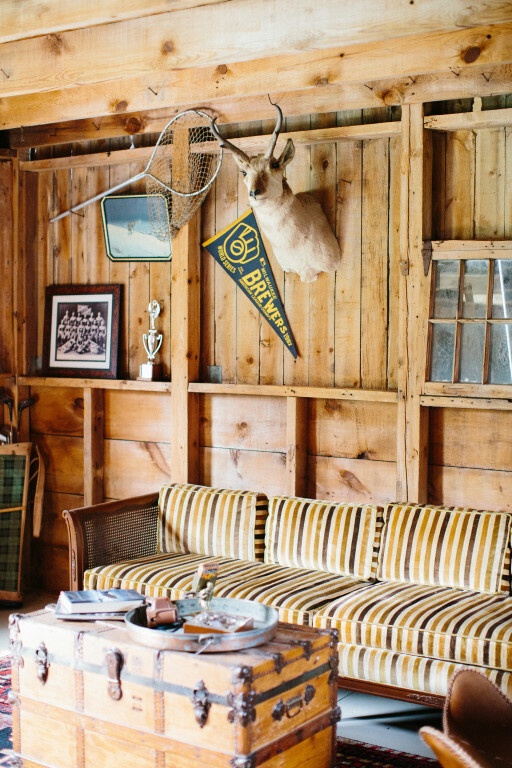 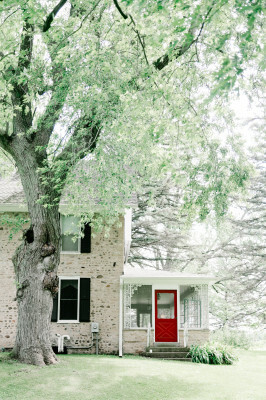 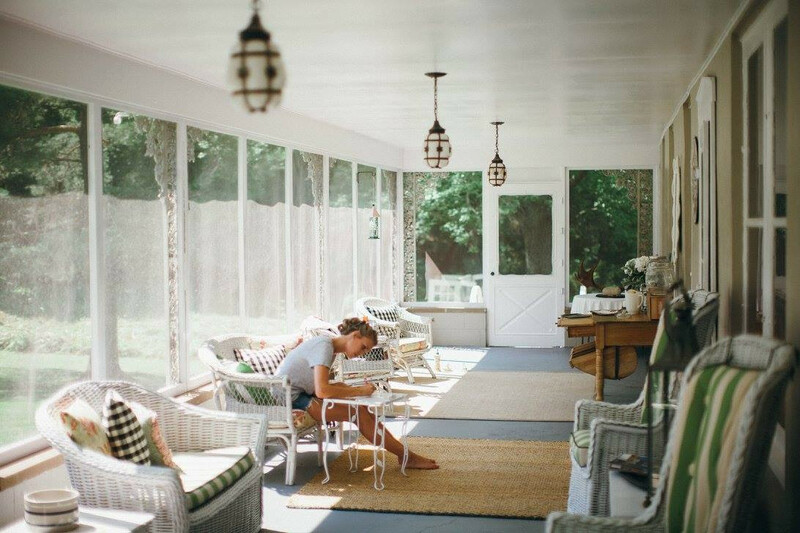 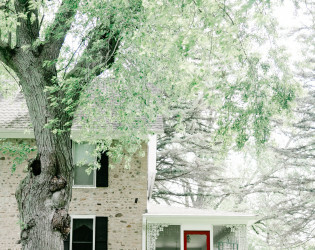 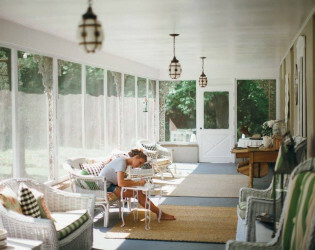 He fell in love with the fieldstone farmhouse, meandering creek, and wooded acres of Wagon Wheel Farm. Today, the Matthews family still believes that our little piece of southeast Wisconsin is unparalleled. 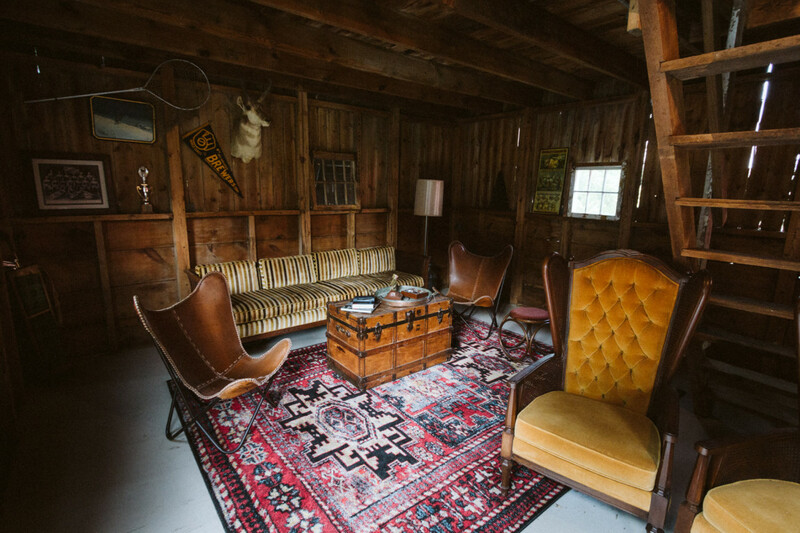 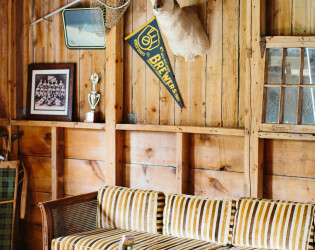 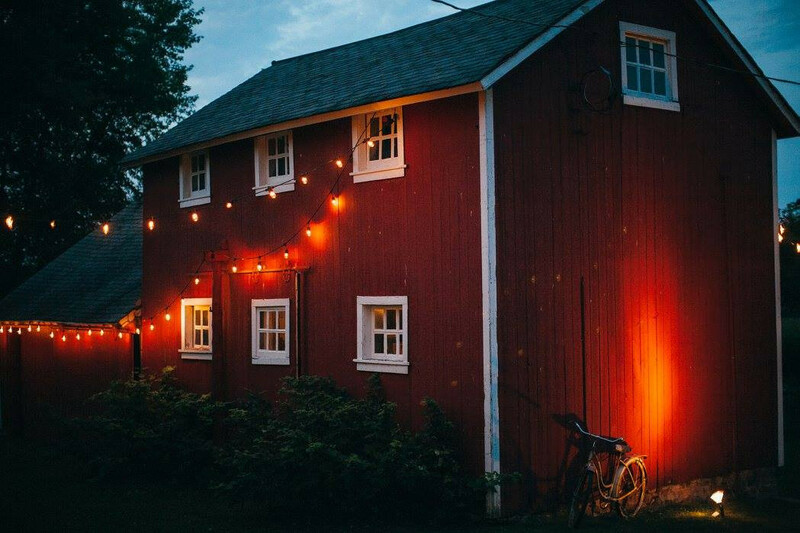 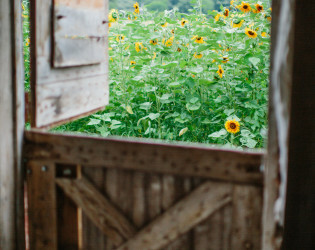 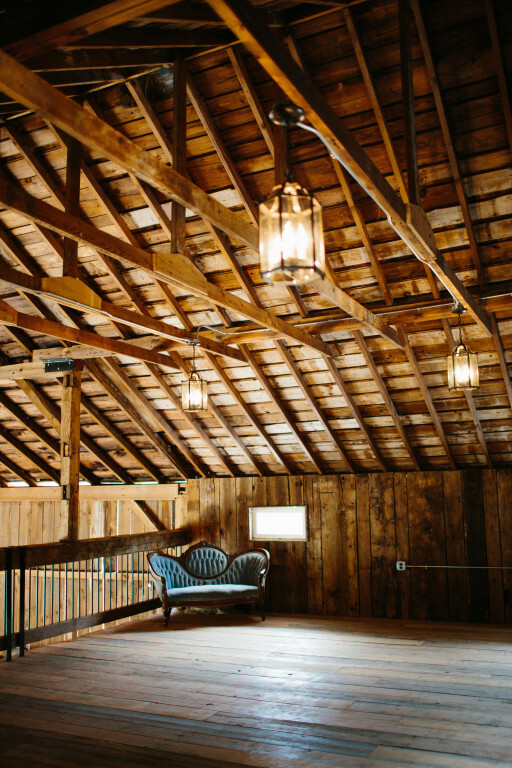 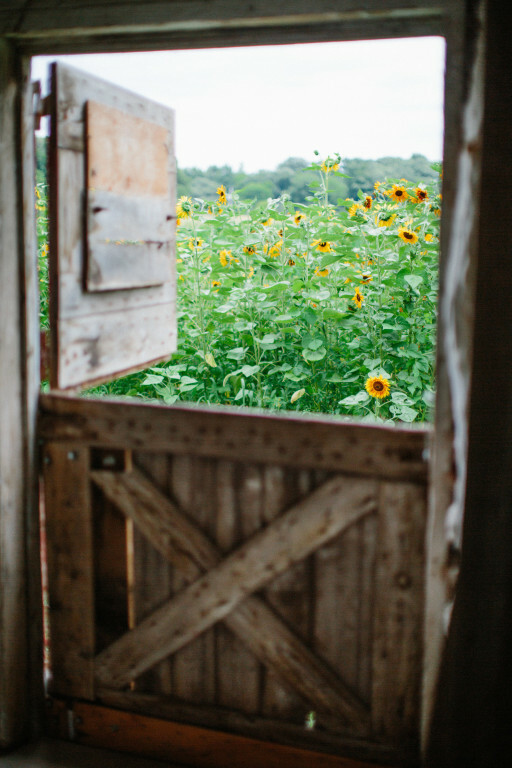 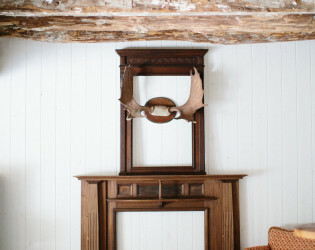 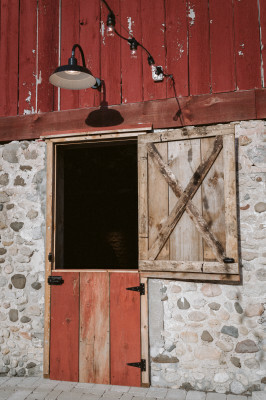 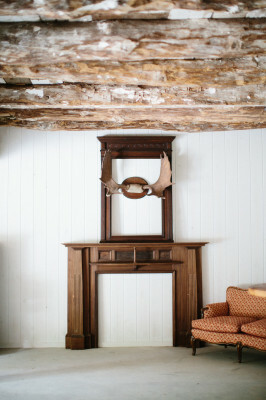 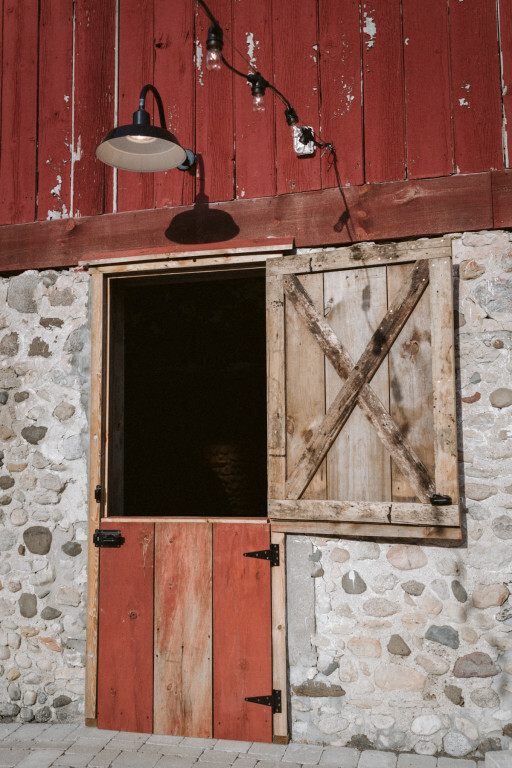 Our 175 year-old barn has been recently renovated but still maintains its rustic charm. 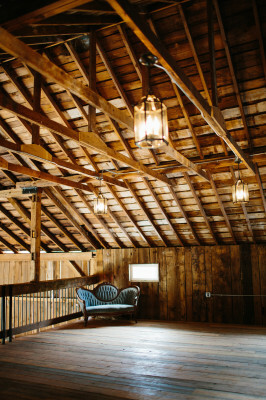 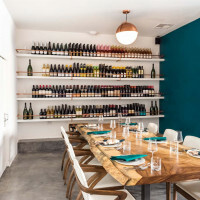 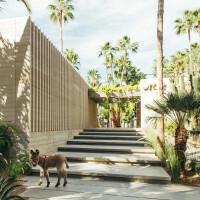 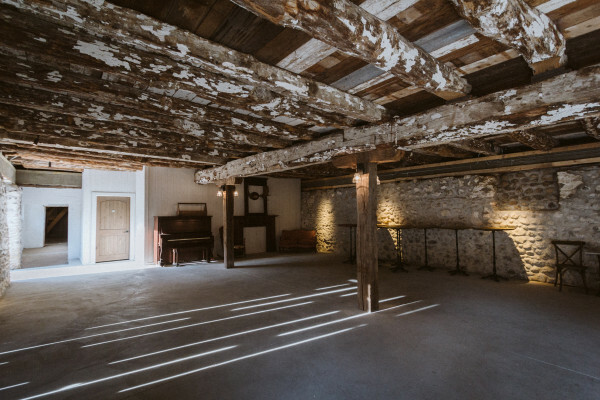 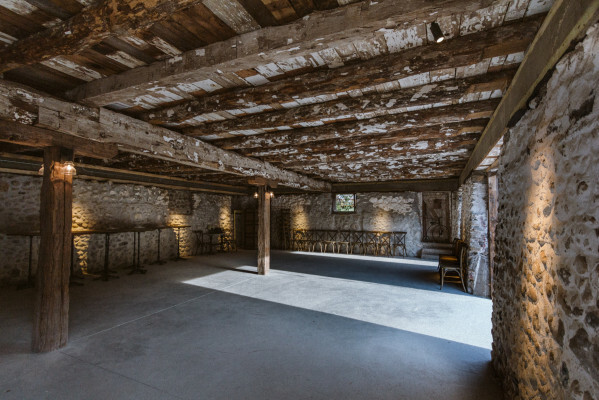 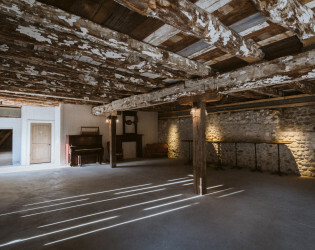 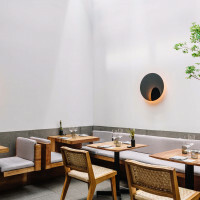 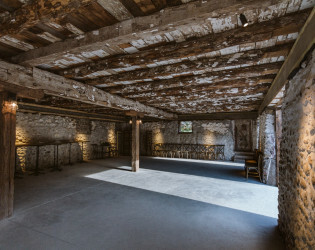 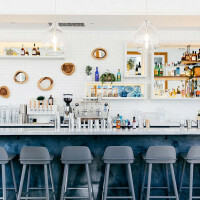 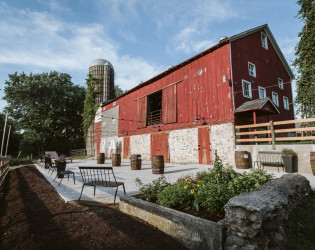 The lower-level milking parlor, previously the spot where dairy cows were milked, is now a great spot for a cocktail hour or ceremony in the chance of inclement weather. 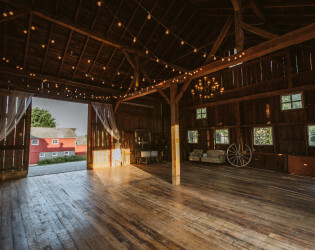 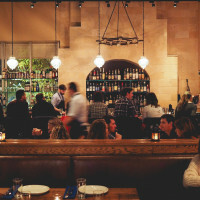 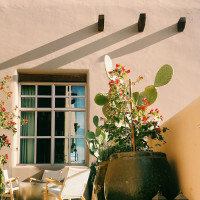 Complete with a bar and large barn doors that open out onto an expansive patio, it's the perfect spot to converse with guests while looking out into the green pastures. 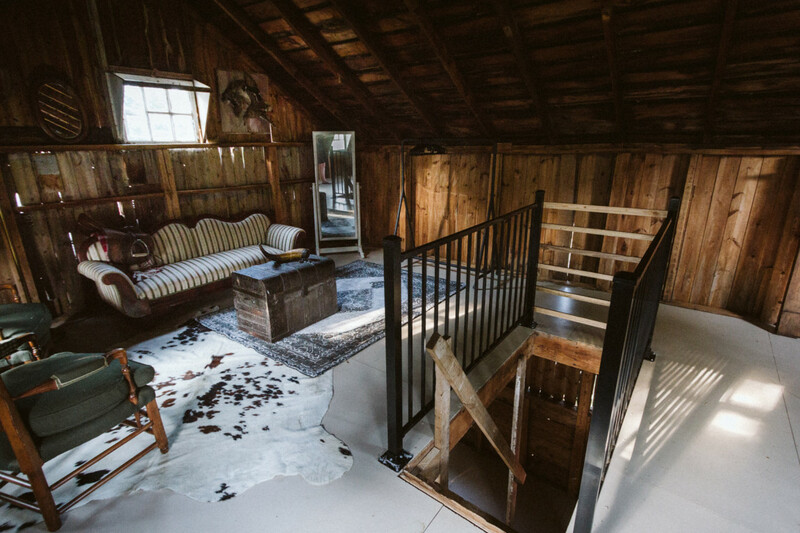 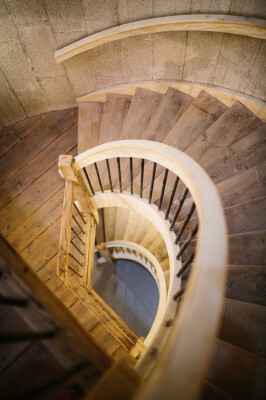 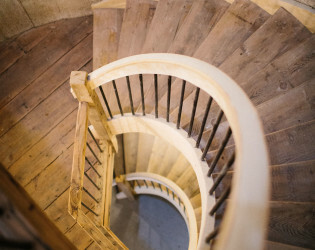 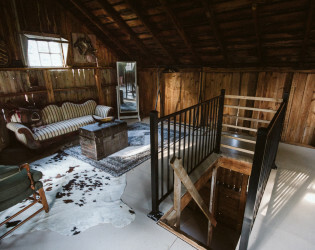 A spiral staircase in the silo will transport guests to the main level of the barn where they can eat, drink and dance the night away. 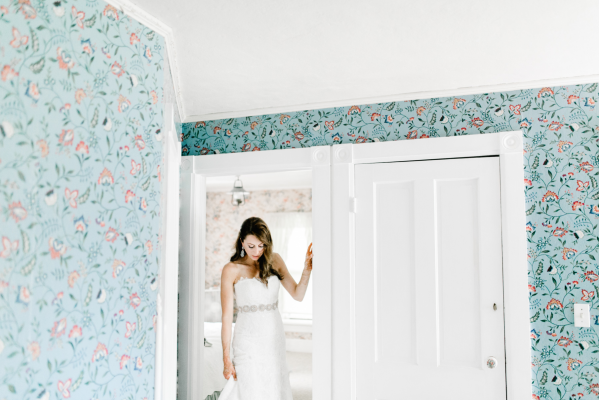 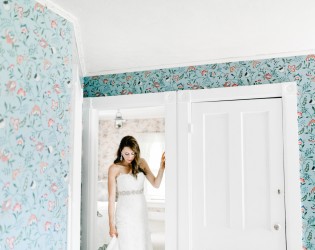 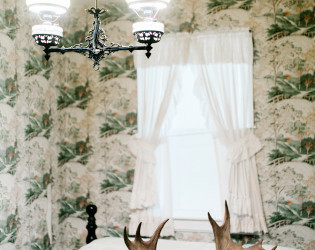 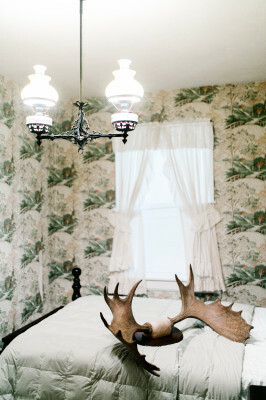 The amazing array of wallpaper throughout the original farmhouse creates the perfect backdrop for any bride or groom to get ready against! 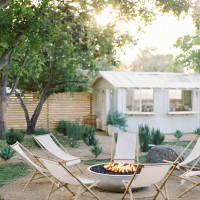 Come late night, the large fire pit adjacent to the chicken coop is the perfect place for guests to reminisce about the night while roasting marshmallows. 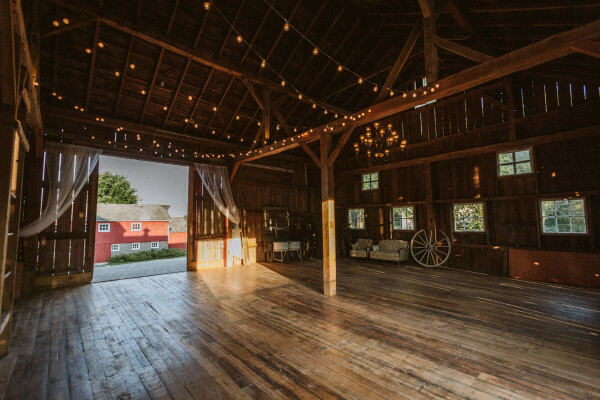 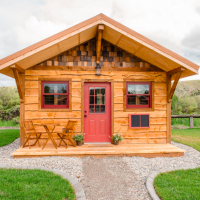 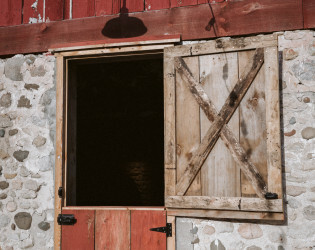 You can customize the barn to your personal vision or you can let the rustic elegance of the barn and property speak for itself. 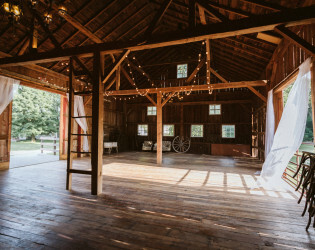 The Barn at Wagon Wheel Farm offers the choice of round and rectangular tables for your reception, white wooden folding ceremony chairs, French style x-back reception chairs, bar-height wooden tables for cocktail hour and an abundance of vintage furniture and accessories that can be used throughout the space. 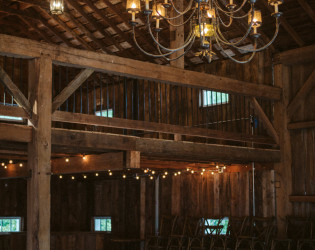 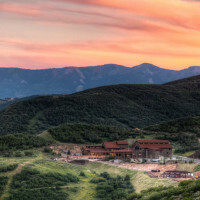 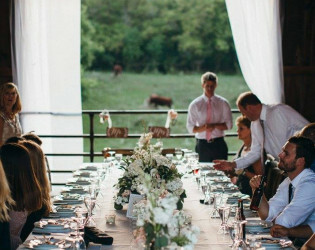 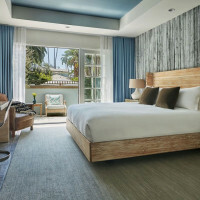 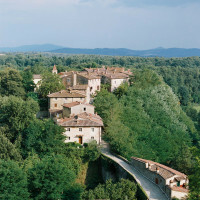 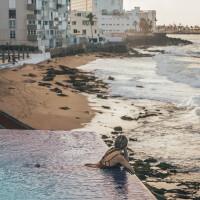 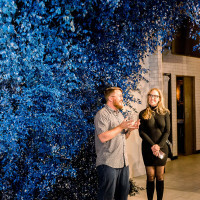 Awards & Notables Featured in Martha Stewart Weddings Magazine as an "Amazing New Venue from Coast to Coast"